Nancy Miller never meant to become a detective. But the distinguished professor of English literature of English and comparative literature at the Graduate Center of the City University of New York and the author of more than a dozen books found herself intrigued by the discovery of a small family archive after her father’s death. A handful of photographs, a land deed, a postcard from Argentina, unidentified locks of hair…What had these things meant to her father? And what did they mean to her? So Miller embarked upon a quest: for people, for places, for meaning. 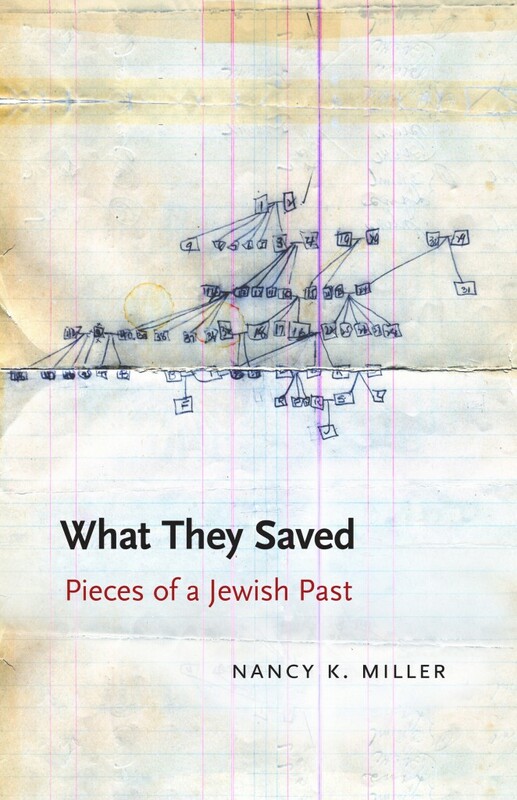 The result, “What They Saved: Pieces of a Jewish Past,” was just published by the University of Nebraska Press. In the interview below, Miller talks with Lilith’s Fiction Editor, Yona Zeldis McDonough, about her new book. What prompted you to write a book about your ancestral objects? Lots of us have things of this kind but wouldn’t have thought to write about them. I probably would never have undertaken the research for this book, let alone written it, if I had not received a phone call in the summer of 2000 from a real estate agent in Los Angeles telling me that I had inherited property in Israel from my paternal grandparents—and that he could sell it for me. Not just for me, but all the heirs, which meant my sister and my first cousin (whom I had never met), if he was still alive. I succeeded in locating my cousin in Tennessee. His daughter had begun doing research on the family and had found a website already in place for all the immigrants to America with our family name: Kipnis. I had been resigned to not knowing anything about my father’s side of the family. And suddenly, one discovery led to another and I got caught up in the fascination of the quest to find out everything I could about these mysterious relatives and what had happened to them. In the first chapter, you describe yourself as a “middle-aged Jewish orphan.” Was this part of your motivation to search for your family? I was not conscious of linking my “orphanness” to the quest. In the first instance, I meant that now that my parents were not there to maintain whatever Jewish traditions they had held on to, I was free to choose. No one was going to “make” me (to evoke the language of my childhood) attend a Seder or go to temple on the High Holidays. It wasn’t that I would no longer be Jewish, rather that I would define what that meant. But your question makes me realize that I must have been looking to create a sense of larger family—however imaginary (I mean, most of the people I was looking for were dead! ), perhaps to compensate for my sense of loss. And in fact, I did find it—and not just my own family, a community that had experienced a very particular history. Not that of the Holocaust, but that of earlier generations, whose lives were shaped by pogroms and exclusions. What did you find out–and how? For the first few years, I did my research without traveling. I used the archives available online and in New York, where I live. I managed to learn quite a lot that way, from sources like death certificates, ships’ manifests, the Federal Census, city directories, Social Security, cemetery receipts, and so on. There are many resources now available thanks to the Internet. In fact, until 2007, I thought I would just write an article about what I had learned—which I did—a fairly scholarly essay that combined my experience of discovery with the autobiographies of Mary Antin and Amos Oz. Did you encounter much resistance along the way, or were people helpful in your quest? I feel that I was extraordinarily lucky, both in the people I hired—guide and genealogists for Eastern Europe, a researcher in Arizona—and the people I met along the way, to whom I was distantly related. The name, of course, is crucial to genealogy and family trees. Sometimes I felt that I was in a fairy tale with magical helpers that would pop up when I needed rescuing. For instance, there was one woman with Kipnis ancestors, and whom I’ve never met, who had decided to locate every Kipnis in America. She created a family tree for me from the scraps of information I was able to give her. I can’t imagine how I would have succeeded in making sense of what I found without her. My only disappointment, really, was with other third-generation relatives, but mainly because they knew less than I did, with one exception. The highpoint of my research with people (not archives!) was an interview I did in Tucson with my 97-year-old second cousin by marriage, Brownie. She told me stories about my uncle, his life in Tucson in the 1930s and 40s, that were fascinating in their detail. That was a precious gift. You’ve spoken of a feminist undercurrent in this story; please say more. This was perhaps the biggest surprise of the process of researching and writing the book. I was obsessed by th­­­e family name—which is to say, my father, grandfather, and great-grandfather’s name. That’s not so strange since documents are traced by the name, and women historically have changed their names when they married. But very often, the key to what I was looking for came to me through the women. For starters, my cousin’s daughter Sarah, was a font of information about my uncle, who turned out to have been a minor gangster in the Bronx, and, of course, her father, my cousin—who was also a character of sorts. And as I said, Brownie was the keeper of stories I could never have uncovered any other way. Sarah, in fact, often relied on Brownie—whom she had known in Tucson—for much of the information she passed on to me. Secondly, I’m quite sure that much of the most valuable the ephemera, objects, and photographs I found in my father’s drawers had been originally saved by his mother—my grandmother. I suspect that when she died, my father did what I did when he died: just scoop up all the papers, documents, and so on that had been left behind and put them aside without really looking at them, or doing anything with them, like organizing them in files, creating a scrapbook or album. Some items I could tell that my father had deliberately preserved—including, as it turns out—documentation for the long-lost property—but without my grandmother’s very strange photo album, certain facts would have continued to escape me. One example. My father had given me some pieces of monogrammed silver that he said had come from “our family in Russia.” Only when I finally went to Eastern Europe, did I discover, for instance, from having someone study the initials, that the silverware had belonged to my grandmother’s family (Scholnik) and not my grandfather’s (Kipnis). I lost a lot of precious time by not seeing what was before my eyes, and having to begin again. In other words, without the women, I would have had very little material, stories or objects. Which is something, as a feminist, I certainly should have been paying attention to from the start. The opening line of Mary Karr’s latest memoir is “Any way I tell it is a lie.” How do you feel about this? 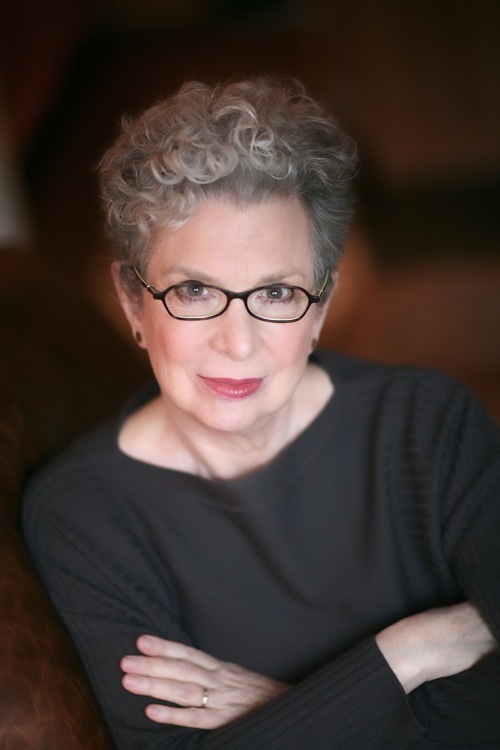 Can there be any objective truth in a memoir? The question of objective truth is more of a problem for a memoir focused on the narrator as the subject, as is the case for Mary Karr, and a personal history. In this book, I was obsessed with finding the truth about others, or at least uncovering as many facts as I could lay claim to. Sometimes, when I couldn’t go any further, I would speculate about what might have happened between point a and point b, but I made it clear that I was inventing or embroidering, based on the facts at hand. I’m present in the narrative primarily as the detective following clues. At the same time, it’s true that because of my training as a literary critic, and my years as an academic, I’m inclined to interpret my findings along a more intellectual line than, say, a historian might; I’m more inclined to story telling. But to the extent that any autobiographical project is a matter of selection, of course, there were times when I would have to admit that I sinned by omission. I held back certain judgments because I didn’t want to offend the living, even though, as I learned when I showed my manuscript to my sister, for one, I inadvertently did. I also probably got some things wrong, despite my determination to get everything right. How has this book changed you? I have to say that I feel exhilarated by the journey. I know so much more than when I started, not least where my ancestors came from, what their surroundings looked like, and the configuration of their communities, especially the cemeteries. In retrospect, I see what I could never have understood then, how the immigrant legacies shaped my parents’ marriage, and generated conflict in our relentlessly aspirational middle-class world of assimilating Jews. On the other hand, some mysteries, especially the question of estrangements between siblings, which seems to have afflicted this side of the family, resisted elucidation. No matter how hard I tried, I could not figure out why my father had never seen his older brother again, after the brother moved to Arizona, or why he had never introduced us to close relatives, like his aunt and uncle, who lived in New York as we did. But I love knowing something about my history as a descendant of these Eastern European immigrants, the kinds of Jews they were—and weren’t. I feel grounded. And to return to your question about being orphaned: I feel less orphaned because I can see my place on the tree, but mainly because I could put my story in a book, share it with other who no doubt will have similar stories, albeit with different geographies and unique twists and turns of the family plot. What advice do you have for others who want to embark on similar searches of their own? My advice to others would be: do it! Ask questions now. It’s painful to realize, as I did, that when I could have asked my father about all this, I didn’t. Or at least I didn’t overcome his resistance to tell. The journey back through space and time is extraordinarily rewarding. There is so much to be found that it would be foolish not to try. More concretely, I have some tips for getting started, as well as some references for research tools on the book’s website. Don’t wait until it’s too late. Rummage through your family’s papers, look on line, and get ready to be surprised.